Known for their avant garde sound, Xiu Xiu‘s latest release follows suits with past releases. One part experimental, one part artsy, and a whole other part Bloc Party meets Deerhoof, Always is a great album for fans wanting to get into the band. “Beauty Towne” is a lot of fun. Featuring a brass melody mid-tune coupled with sweeter sounds, you almost feel like you’re frolicking in a forest listening to this tune. The lyrics are smooth and almost incomprehensible but one of the softer tracks on the album. Similarly, “Born to Suffer” starts with a pulsing electronic line and rise. The track is ephemeral and lulling. In contrast, “I Luv Abortion” is hard and brash. The track almost feels like an angry spoken word piece. It’s visceral and edgy. The track is a great example of the “other side” of Xiu Xiu: painful and emotive. Don’t let the aggression in the track scare you off — under the madness is a unique track filled with a strong bass similar to the industrial tracks of VNV Nation. 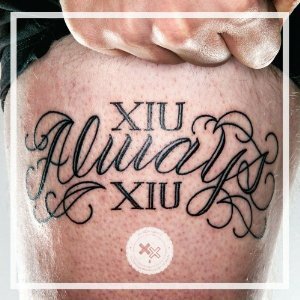 The dichotomy in this album is just one of the reasons Xiu Xiu has remained popular over the years. There’s a little bit for every true music fan on this album.